App technology is making major advances towards helping many traditionally offline industries, and even livestock management is no exception. Apps like iHerd, first developed in Australia, can access your property details - including sales data, treatment cabinets, cattle tags, and general reporting. The storage and organization of this data saves time and money by simplifying herd management. In the US, the Department of Agriculture’s National Animal Identification System is working on a nationwide plan that tracks movements of cattle and other animals. This is enabled by a radio transponder inserted behind the animal’s ear with details on birth and branding, veterinary treatment, weaning date and even weight gains. This tracking can enable a timely response to disease outbreaks and assist farmers with lost livestock. Bottom Line: Digital management of your herd increases survival rates and saves time and money. Selective breeding and genetic engineering are no longer just science fiction. 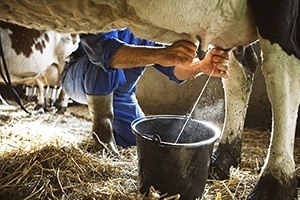 Recently, farms have explored these major advancements in an effort to improve milk produc- tion. This technology can also help with disease control, inflammatory infections, and mastitis (which causes cows to produce poor-quality milk). These afflictions costs the dairy industry an estimated $2.0 billion annually. Additionally, many dairy producers also incorporate a bovine somatotropin to induce dairy cows to produce more milk. However, those considering the option should proceed with caution, as the use of the additive hormone may face consumer backlash. While we all remember Dolly, the next frontier may be the normalization of cloning the most milk productive cows. Cloning can get positive characteristics of milk production introduced into the herd, saving several years on traditional breeding. However, there are still a slew of ethical, legal and technological hurdles to overcome. 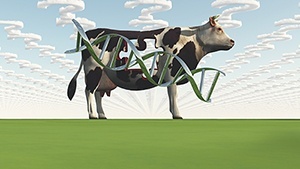 Either way, cloning can have a massive impact on dairy farming in the near future. Bottom Line: Advances in breeding and genetics means increased milk potential with fewer cows. Currently, the clearest area of technological change for dairy farms is in the actual milking technology. Farms that need to lower cost and increase revenue may be best served by an upfront investment in a complete overhaul of milking operations. This is the most sustainable way to produce more at a lower cost and compete more effec- tively. Advances in technology like robotic milkers have increased productivity by both increasing per cow output while reducing labor time. Many of these systems also work with smartphones and can notify a farmer of equipment breakdowns or disruptions in milking flow. Bottom Line: Modernized equipment enables more efficient milk production and allow farmer more time away from the stall. 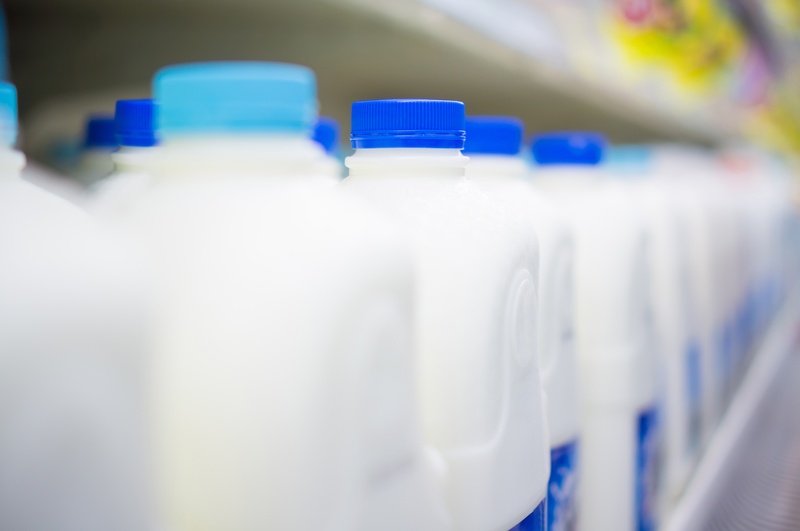 Small dairy farmers have grouped together over the years through co-operatives to better negotiate pricing with larger dairy product producers. However, new platforms are emerging that help everyone understand and control their prices in inputs and output. A company like NLP Logix is using past data on dairy production and feeds to provide predictive analytics on feed costs, which allows for better management of feed purchases. 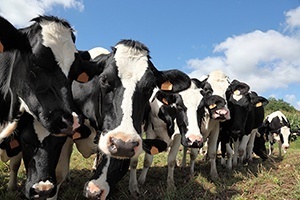 Similarly, new tools are emerging for farmers to manage and hedge the pricing of produced milk, such as Vault Dairy Technologies, which provides tools to deploy and manage these types of financial instruments. Bottom Line: Tools to allow for predictive pricing on the input and output ends allow for individual farms to have greater power to plan and think strategically.